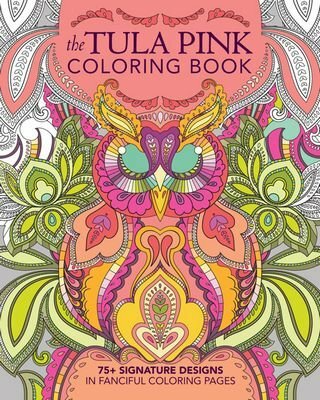 Tula Pink's Signature Designs in 75+ Fanciful Coloring Pages. Bring Tula Pink's one-of-a-kind designs to life! This book features black and white art patterns for readers to color. Patterns will be intricate and advanced, the aesthetic appeal to adults who like to color. The perforated pages are ideal for framing and gifting, though you may want to keep your favorites for yourself!